The 10 Best Burgers in Mississippi! Burgers are the ultimate comfort food. 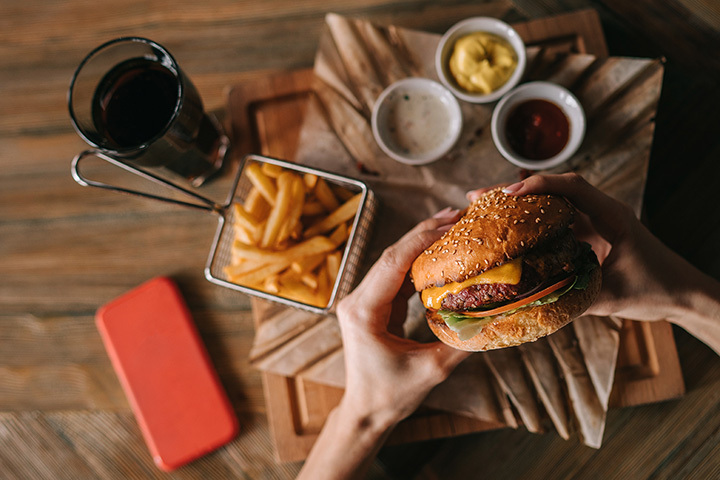 From fast-food drive-thrus to the family grill, everyone has fond memories of grabbing a burger with someone they love. Whether you like a plain cheeseburger or you want a one-of-a-kind gourmet bison burger, these are our 10 favorite burger joints in Mississippi. Don't let the exterior of Phillips Grocery fool you. The building was originally opened as a saloon in 1892, then it became a grocery store in 1919. They started serving food in 1948, and there's a good reason they're still in business. Their burgers are known for being some of the best in the state! Mugshots is a sports bar and grill with several locations throughout the state, and their burgers regularly appear on Best Of lists. Customers love the fast, friendly service and the casual atmosphere, as well as the variety of options on the menu. If you're feeling adventurous, try the Peanut Butter Burger! If there's one group you can trust to know where to get a good hamburger, it's college students. And the students at nearby Mississippi State University love Christy's! Another deceptively humble storefront, Christy's food is fresh, cheap, and delicious—the way a burger should be. Latham's Hamburger Inn in New Albany is a real Mississippi institution. They've been around since the 1930s (although they were called Stagg's back in those days). Their dough burgers are a carefully guarded recipe, and are a unique combination of meat, spices, and dough that customers love. If you've ever wanted to try a gourmet burger, you have to make a visit to 27th Avenue Burger Bar in downtown Gulfport. They use premium ingredients for their burgers, which range from the Buffalo Bill (made from ground buffalo) to the Greek Lamb (made from lamb and topped with hummus and feta with a tzatziki aioli). Beatty Street Grocery is home to one of Jackson's favorite burgers. Like many of the best places in the state, it might not look like much on the outside, but what's inside will keep you coming back for more. They've been in business for over 75 years, and they've amassed a faithful following. Their burgers are the kind you'd make at home, only better. Olive Branch is one of the fastest-growing areas in the state, and Sidestreet Burgers is making a splash. They're at the cutting edge of the burger scene and specialize in baked (yes, baked!) burgers with a unique twist, such as the Fat Panda, a Korean-style patty dressed with Sriracha mayo and cilantro on French bread instead of a bun. The Neon Pig in Tupelo is truly one-of-a-kind in our state. They are an old-fashioned butcher shop who also sells food (and beer! ), and they source all of their animals from local farms, meaning you know for sure you're getting some of the freshest meat available anywhere. Their Smash Burger has been called the best in the state! Abe's Grill in Corinth has been in business since 1974, and it's still run by the original owners. The building is decorated in retro signs, giving you the sense of stepping back in time for an old-fashioned burger. Their hamburger meat is ground fresh every day, and their options are simple—single or double, with or without cheese, and your choice of toppings. The Blue Rooster is a bar and grill in Flora, Mississippi, and they've garnered a reputation for an excellent burger. You can build your own burger from an extensive list of bun options, sauces, and toppings, or choose one of their specialty burgers. The Flamethrower is popular, with jalapeños, pepper jack, sautéed onions, and ranch on a jalapeño cheddar bun.